There was a time when Shazam (aka Captain Marvel) was the most popular superhero in the world. And maybe that time will come again, as a live-action Shazam movie starring Zachary Levi as the World’s Mightiest Mortal is now here. But who is this magical powerhouse, and how do Shazam and his powers fit into the larger DC Universe? Read on to learn everything you need to know about Shazam. Shazam is proof that the superhero business doesn’t need to be reserved for adults. Young Billy Batson is an orphan who caught the eye of a powerful but aging wizard who granted him amazing magical abilities and tasked him with defending the Rock of Eternity (an enchanted place at the nexus of space and time). Whenever Billy utters the word “Shazam!”, he transforms into a powerful hero with abilities to rival those of Superman himself. Ever since, Billy has lived a dual life. Some days he’s a lonely foster kid making his way in the world, and some days he soars through the sky and battles villains like the fiendish Dr. Sivana or his twisted predecessor, Black Adam. It’s all in a day’s work for Shazam. Shazam’s name is an acronym that comes from the six mythological figures who provide his powers. He has the wisdom of Solomon, the strength of Hercules, the stamina of Atlas, the power of Zeus, the courage of Achilles and the speed of Mercury. In effect, this gives a Shazam a very Superman-like suite of abilities that include super-strength, invulnerability and flight. He also has an array of magical abilities, including the power to generate lightning and to easily solve complex puzzles and codes in the blink of an eye. Basically, he’s an almost unstoppable one-man army unless his enemies can somehow trick Shazam into transforming back into ordinary Billy Batson. 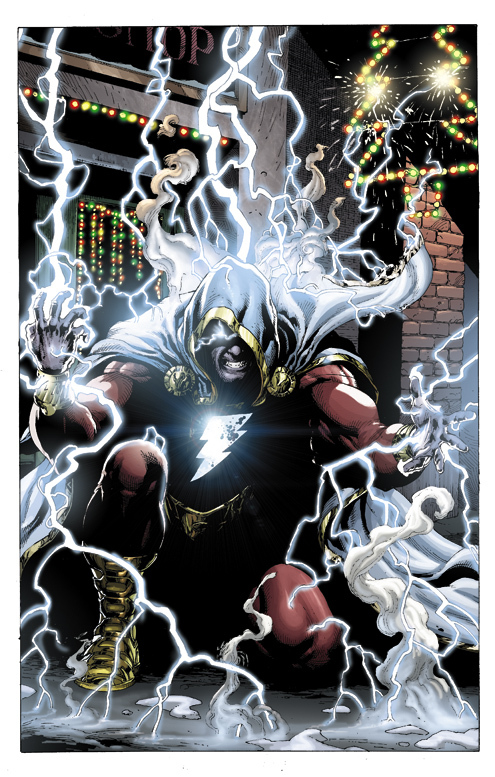 Shazam also has the ability to transfer a portion of his power to others. That’s given rise to sidekicks like Mary Marvel (Billy’s long-lost sister Mary) and Captain Marvel Jr. (his best friend Freddy Freeman). When Superman first hit the scene in 1939’s Action Comics #1, it sparked an immediate rush for other publishers to respond with their own superhero characters. Shazam (then known as Captain Marvel) was created by CC Parker and Bill Peck for rival publisher Fawcett Comics. He debuted in 1940’s Whiz Comics #2 and rapidly grew to become the most popular of the many Superman clones of the era. 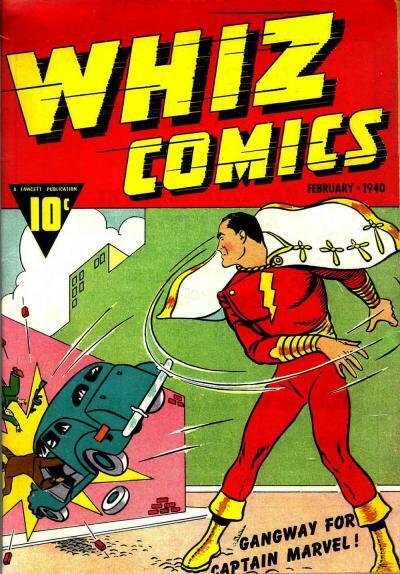 Captain Marvel debuted in Whiz Comics #2. Captain Marvel’s popularity eclipsed even that of Superman for much of the 1940s. Most credit that to the fact that his status as a young boy who transforms into an adult hero made him more appealing to young readers. He served as a form of superhero wish-fulfillment in a way the stuffy, fatherly Superman never could. Captain Marvel even came to influence pop culture, with Elvis Presley reportedly modeling his gaudy stage costumes after the colorfully dressed hero. Unfortunately, Captain Marvel eventually fell victim to the one foe that would continuously hound him for the rest of the 20th century – legal problems. DC sued Fawcett for copyright infringement, and Fawcett retired the character in 1953 under the agreement that they’d never publish a Captain Marvel comic again. Whatever name you want to call him, Shazam has been a fairly constant presence in DC’s publishing lineup ever since 1972. At first he existed on his own world in the DC multiverse (Earth-S), but after 1985’s Crisis on Infinite Earths destroyed the multiverse, the Shazam family were folded into the main DCU along with the Justice Society of Earth-2 and former Charlton Comics characters like Blue Beetle, the Question and Captain Atom. Shazam and Black Adam eventually made their home in the DCU. DC has made various changes to the familiar Shazam mythology over the years, including tweaking the character so that he retains his youthful Billy Batson personality even when transformed and briefly having Freddy Freeman take over the mantle from Billy. Shazam’s mortal enemy Black Adam has also changed a great deal after being integrated into the DCU. In recent years, Adam has been re-imagined as a more tragic fallen hero who often overshadows his nemesis. 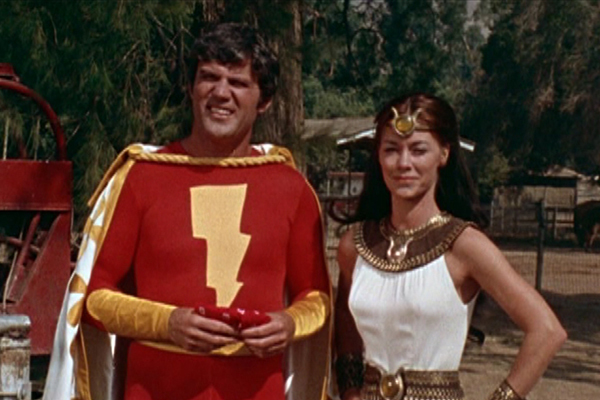 Given his immediate popularity, it wasn’t long before Shazam/Captain Marvel began appearing in other media. In 1941 Republic Pictures crafted a 12-part movie serial called Adventures of Captain Marvel, which starred Tom Tyler as Captain Marvel and Frank Coghlan, Jr. as Billy Batson. Actor Burt Boyer also starred in a 1943 Captain Marvel radio program, though few traces of that project have survived. The character’s next big mainstream hit came in 1974 when Filmation crafted a live-action TV series called Shazam! The series took a few liberties with the source material, re-imagining the wizard (Les Tremayne) and Billy (Michael Gray) as a duo traveling the country in their camper and righting wrongs along the way. Shazam! was eventually joined by the companion series The Secrets of Isis. Filmation later followed those up with a 1981 animated series called The Kid Power Hour With Shazam! That was pretty much the end of Captain Marvel headlining his own TV shows. However, the character has appeared in a number of DC animated shows (Justice League Unlimited, Young Justice, Batman: The Brave and the Bold), direct-to-DVD animated movies (Superman/Batman: Public Enemies, Justice League: The Flashpoint Paradox, Superman/Shazam: The Return of Black Adam) and video games (Injustice: Gods Among Us). And now Shazam finally returns to live-action with Warner Bros.’ Shazam movie, directed by David Sandberg (Lights Out). The film stars Zachary Levi as Shazam and Asher Angel as Billy Batson, with Mark Strong playing the villain Dr. Sivana. Djimon Hounsou plays the wizard who gives the hero his powers. 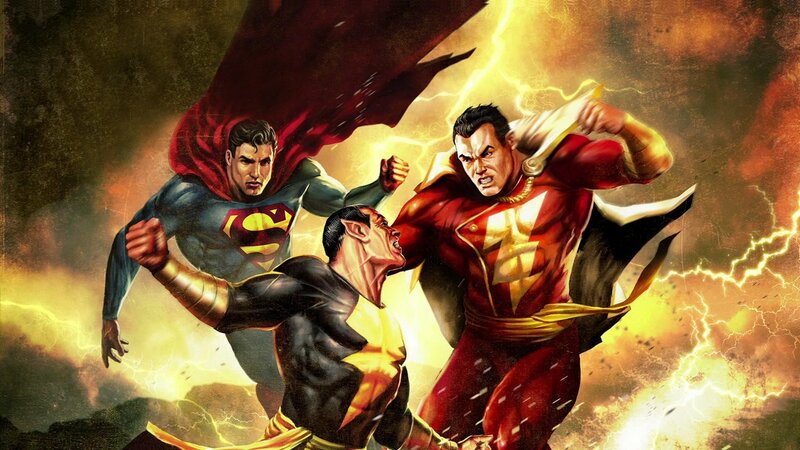 As for Black Adam, while it sounds like he won’t appear in Shazam as previously expected (rumors at one point suggested that Dwayne Johnson would play both Shazam and Adam), Warners appears to have big plans for the character. Johnson is said to still be set to star in a solo Black Adam film.